"There&apos;s nothing not to like - creative and engaging songwriting, beautiful production, and just plain great music. The crowning jewel is Carolann&apos;s superb vocals - soulful, compelling, full of raw emotion, and simply beautiful." 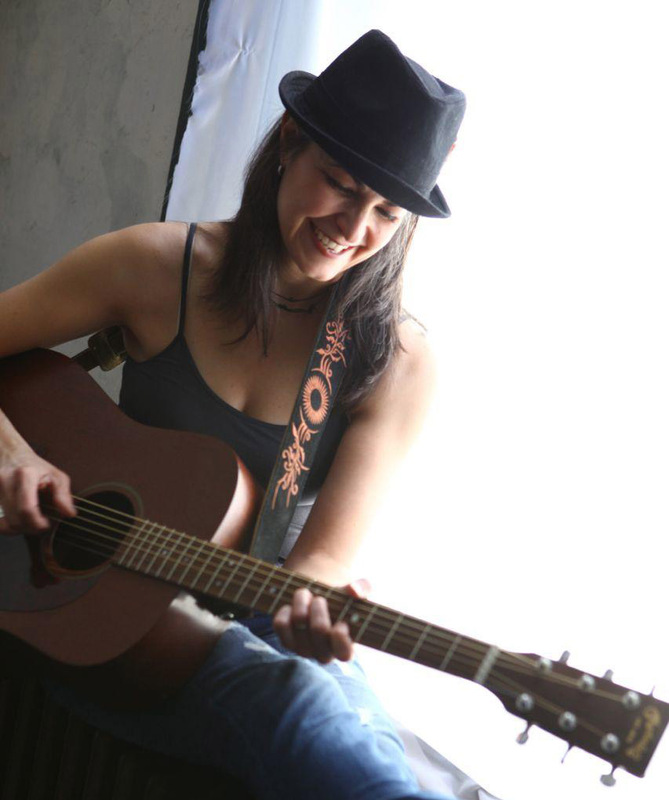 CAROLANN SOLEBELLO is a performing songwriter born and bred in New York City. Best known to folk audiences as a founding member of Americana trio Red Molly, she now tours both solo and with modern folk quartet No Fuss and Feathers. Carolann&apos;s smooth, compelling voice and warm acoustic guitar style surely nod to rural folk traditions, yet her decidedly urban sense of rhythm and sophisticated vocal phrasing bend those traditional forms into more contemporary shapes. She is a proud member of the Jack Hardy Songwriters&apos; Exchange and has won numerous songwriting awards. Carolann released her fifth solo album, Shiver, in February 2018. "I think of Carolann Solebello as a painter with words. An illustrator could have a field day with the imaginative storytelling [in this] book of tales... Whether it&apos;s divine aid or some other muse, Carolann Solebello shows off some major chops with Shiver. "Shiver is a strong effort showcasing Carolann Solebello&apos;s smart songwriting chops and bell-clear singing voice... While she may mix in a few other musical styles, it&apos;s clear her bread and butter is traditional folk singing and songwriting... real-deal folk music. "It&apos;s refreshing to hear a singer-songwriter from Brooklyn who&apos;s actually from Brooklyn... Steel and Salt is nothing if not a love song to New York City... This is an album about home. Whether you&apos;re from my home or not. In "Movie Queen," Solebello sings that "We will never be celebrities." While that&apos;s probably not a bad thing, it would also be a shame to let this album fade into obscurity." "With the release of Threshold, it seems Solebello has found her own voice in a manner that is both winsome and full of frolic, but there is also a maturity in the writing that speaks to adult matters. We have here an artist who has found herself by going it alone, and thus has become complete and completely one with her work. It is a joy to hear." Just like the long list of New York City artists before him, Robinson feeds off the honest grit found among the "huddled masses"...coupling the blatantly obvious (to a New Yorker at least) with the deeply personal. Chameleon-like in his approach to his songwriting, he refuses to be pigeonholed into one particular genre. Believing that each song is forged from its own unique terrain, he takes great pains in choosing the vehicle by which passengers might best weather the bumps, potholes, and blind curves found between the first note and the last. Admittedly susceptible to the affectations of the senses himself, he asks his audience to participate emotionally as well as physically in a "whole self " conceptual challenge, a 360 degree soul search comprised of the most joyous elation to the bitterest of pains. With the emergence of a true "world" community of listeners and the dissolving of the old guard record company elitists, Treacher&apos;s eclectic songwriting can be allowed to burgeon...flowing freely among the throngs of liberated music enthusiasts...authentic and unabashed in its purity and form. In live performance, there&apos;s an electric quality, a charge that stretches across the decades, back to the thrill of first hearing certain &apos;60s folk rockers. There are elements of Tim Buckley, Donovan and John Fogarty (Creedence) as well as the aforementioned Van Morrison. 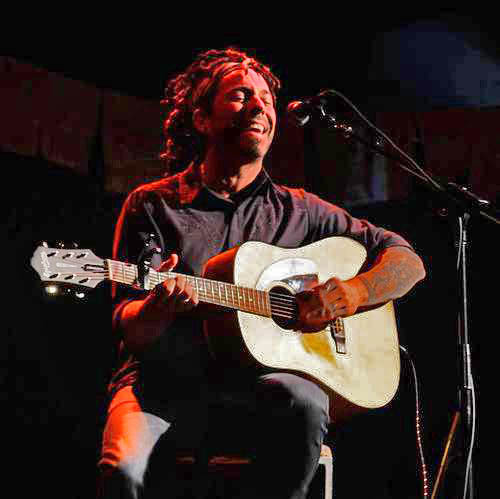 At times, in his use of rapid strumming and powerful vocals, he seems like the second coming of Richie Havens. It would be tempting to place his picture in the middle of an Owsley-style Grateful Dead poster. In case it needs restating, we&apos;re really pumped about Robinson Treacher. We hope you&apos;ll join us in seeing him at every opportunity. Robinson has been featured on Sirius/XM&apos;s "The Loft: Live from The Living Room" series and has been named "Singer Universe&apos;s Vocalist of the Month". He has even been touted by legendary songwriter Don Schlitz ("Forever and Ever Amen", "When You Say Nothing At All", "The Gambler") as being, "...impossible to follow in concert." Recently, he has been nominated for a Nashville Music City Award for his song "This Bar" as well as for an NSAI/CMT country music People&apos;s Choice Award and an Independent Music Award nomination for his song "Long Day Good Night" and is currently supporting his upcoming release with shows in NYC, Nashville, and all points in between.